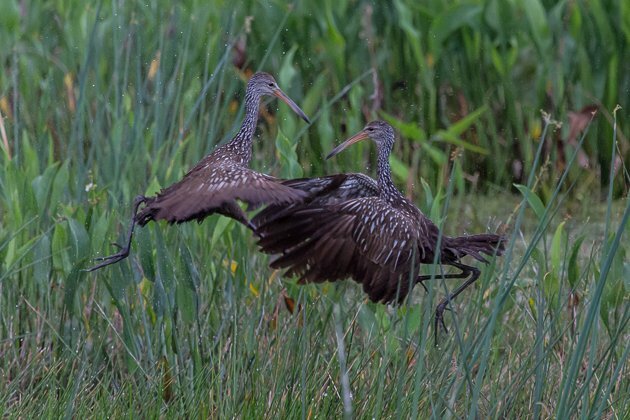 The only state in the US where Limpkins can be found is Florida. 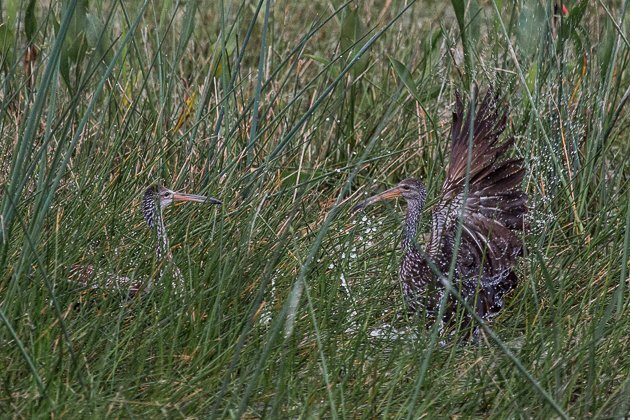 They are normally nocturnal (these photos were taken at sundown) but in Florida, they can be seen during the day. 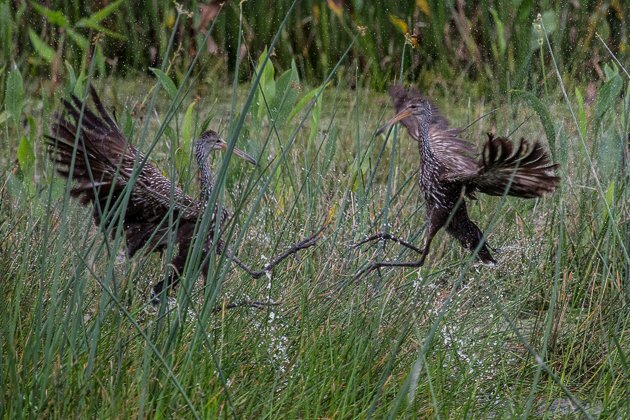 As with many Florida birds, they don’t seem to fear humans as much as other places. I guess when you live with alligators, humans just don’t seem like that big of a deal. 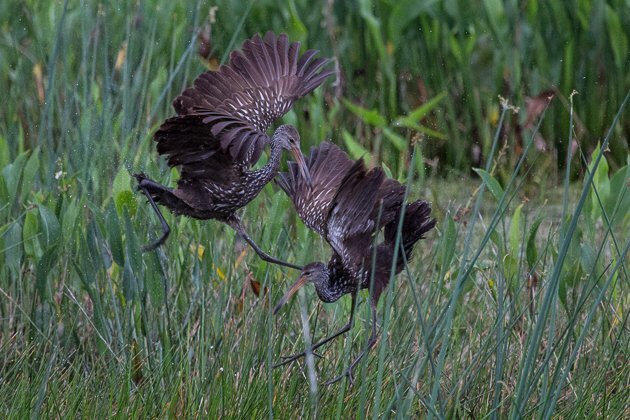 Male Limpkins are very territorial and will fight each other over their space. Presumably, that’s what happened here. After about 10 minutes, the bird on the left lost and flew away. 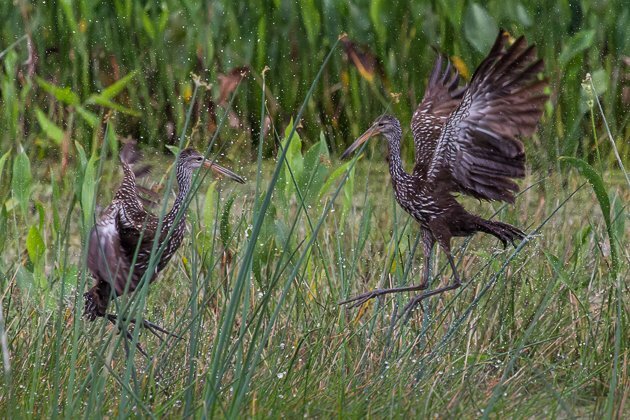 I saw a Limpkin just once in the Dominican Republic as it walked out of the forest and into someone’s garden. Wow, those are spectacular. I have photography envy!